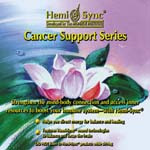 The Cancer Support Series was developed to help you strengthen your mind-body connection and access inner resources to boost your immune system. Subject Album features 11 exercises (7 CDs) Mind Awake/Body Asleep, Flying Free, Remove and Release, Edge of Here and Now, Touring Interstate, Moment of Revelation, Right of Passage, Homecoming, Freedom Flight, Return to Revelation, Relocation Theme. Exercise Titles - Mind Awake/Body Asleep, Flying Free, Remove and Release, Edge of Here and Now, Touring Interstate, Moment of Revelation, Right of Passage, Homecoming, Freedom Flight, Return to Revelation, Relocation Theme. 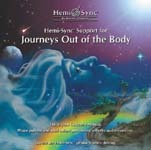 Relax body, mind, and spirit with the music and Hemi-Sync selections of the Massage Therapy Collection. 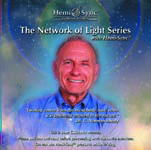 As a pioneer in the field of alternative medicine, Dr. C. Norman Shealy has helped medical practitioners to understand more fully the power of the mind-body connection and its relationship to maintaining wellness or restoring wellness following a trauma such as surgery or a life-threatening disease. 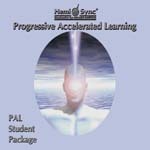 This series was developed to help you improve your potential for learning. 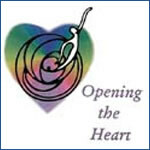 This experiential learning program reinforces the mind/body connection and has been reported to be helpful for Fibromyalgia, chronic fatigue syndrome, HIV and other immune disorders, as well as for maintaining wellness. Enter into a timeless state of being while enhancing the mind-body connection with verbally guided Hemi-Sync exercises. 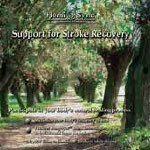 The primary focus of this series is to assist you in actively participating in your body's own natural healing process. A growing body of evidence supports the interconnectedness of mind and body, and medical research now shows that our words, thoughts, and feelings have substantial impact on our bodies.